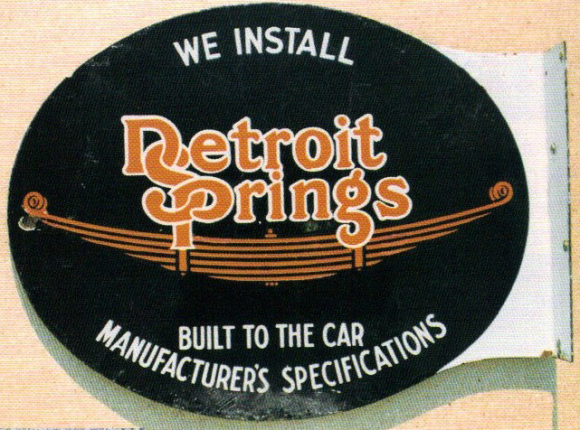 This is an oval flange Detroit Springs porcelain sign. This particular Detroit Springs sign is predominantly green with white and orange text. It reads, “We Install Detroit Springs, Built To The Car Manufacturer’s Specifications”.